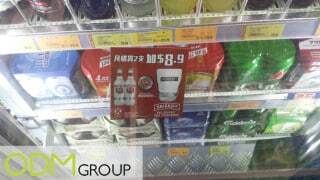 We recently went to a supermarket in Hong Kong and was able to spot this example of PWP marketing. 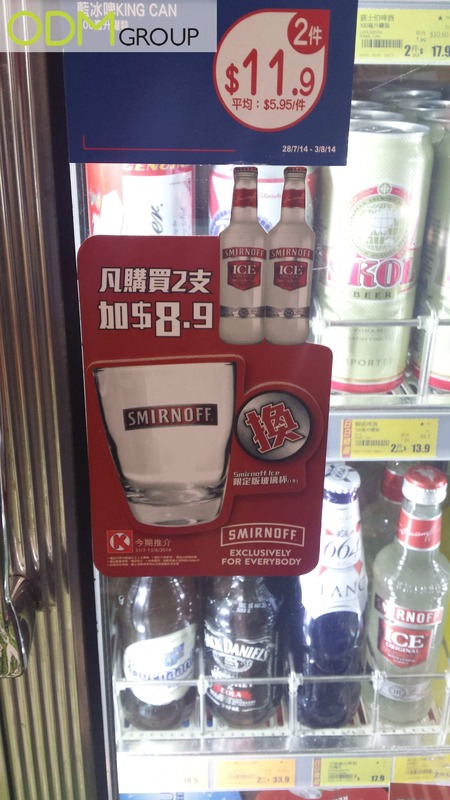 We found Smirnoff ice being apart of a promotion. Read on for more. As you may be able to see, customers simply need to buy two Smirnoff ice bottles and pay an extra $8.9 in order to get a branded glass. This high quality glass, displays the Smirnoff logo. It can be used as a complimentary product that can store the Smirnoff ice vodka or Smirnoff cocktail mixture. 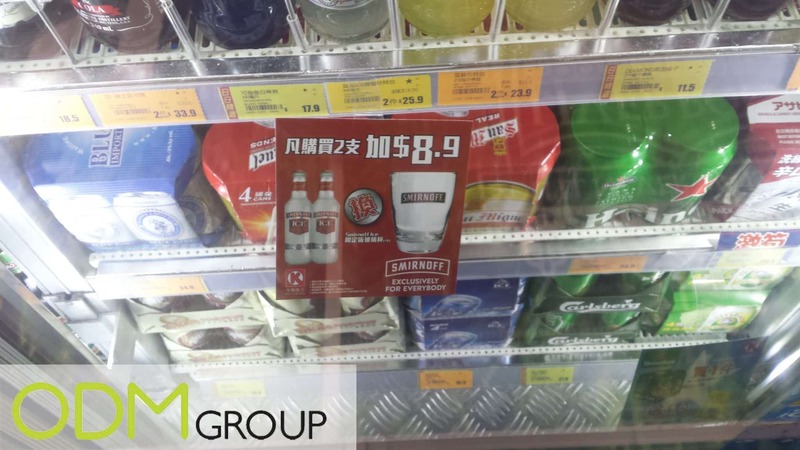 Smirnoff has been able to increase sales through this method. This is because customers have to buy at least two Smirnoff ices in order to qualify for the promotion. This alone has a dramatic effect on sales. The high quality glass provided at a low price will in no doubt influence the buyer. It is also a brilliant way of reminding customers of your brand within their homes. At ODM we have had previous experience with providing glasses for our clients’ marketing campaigns. We are a quality orientated company and we work closely with our clients. 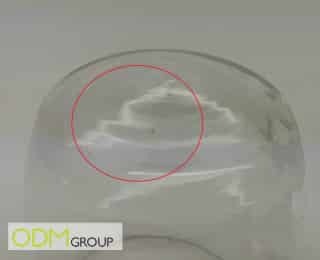 We rigorously examined a sample we received from our manufacturer and was able to identify defects. Our customer focus ensured that we can save you time and money through guaranteeing the quality of your promotional product. For more on this story click here .